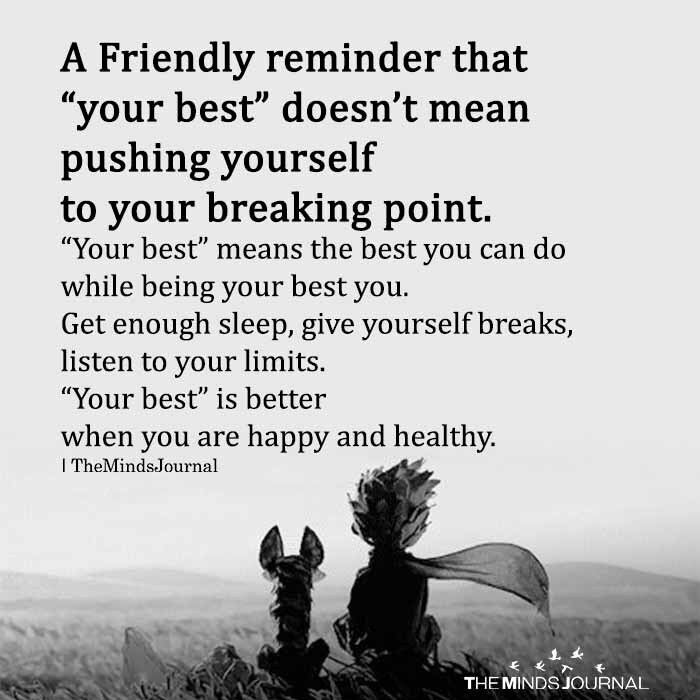 Friendly reminder that “your best” doesn’t mean pushing yourself to your breaking point. “Your best” means the best you can do while being your best you. Get enough sleep, give yourself breaks, listen to your limits. “Your best” is better when you are happy and healthy.